Who Pays My Medical Bills After A Car Accident? Injured in a Texas Car Accident? Now What? Understand Who Pays Your Medical Bills. Most people assume that when injured by an intoxicated person’s negligence, that individual is the only party responsible. According to dram shop liability laws in Texas, however, this is not always the whole story. Injured victims may also be able to file a dram shop claim against the establishment that provided the alcohol to the intoxicated person. We at Parker Law Firm understand that dram shop claims can be complex. Fortunately, you don’t have to navigate the legal nuances on your own. We represent Fort Worth and Texas residents with nearly 40 years of legal fortitude and can pursue your full compensation from all responsible parties. Your pain and suffering will not go overlooked by our personal injury lawyers. Dial 817-503-9200 for your Complimentary Strategy Session with our legal team! A dram shop is essentially any drinking establishment that serves alcoholic beverages, including bars, restaurants, and taverns. Initially enacted in 1987, the Texas Dram Shop Act holds these drinking establishments accountable for failing to notice or consider the intoxication levels of their patrons. The intoxication was a direct cause of the injuries suffered. 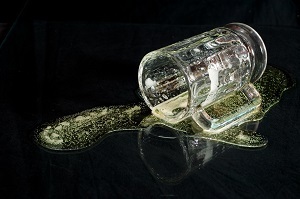 It is important that the injured victim is able to link their injuries with the intoxication of the negligent person. If successful, a dram shop claim can order the drinking establishment to pay compensation for the medical bills, lost wages, and pain and suffering of the victim. After many personal injury accidents, responsible parties try to shirk liability and the victim suffers as a result. At Parker Law Firm, we want to prevent this from happening to you. Our team is familiar with dram shop law in Texas and will apply the full extent of our knowledge to your case. You deserve to be compensated for your loss – our goal is to help you obtain exactly that. Call 817-503-9200 or complete this simple form to begin filing your dram shop liability claim.